Finally, a pillow that accommodates every sleeping or relaxing position your body desires. Relax, rest and rejuvenate with our 10-in-1 Pillow while it supports your entire body from head to toe. Great for sleeping on your side, back and even stomach sleepers. 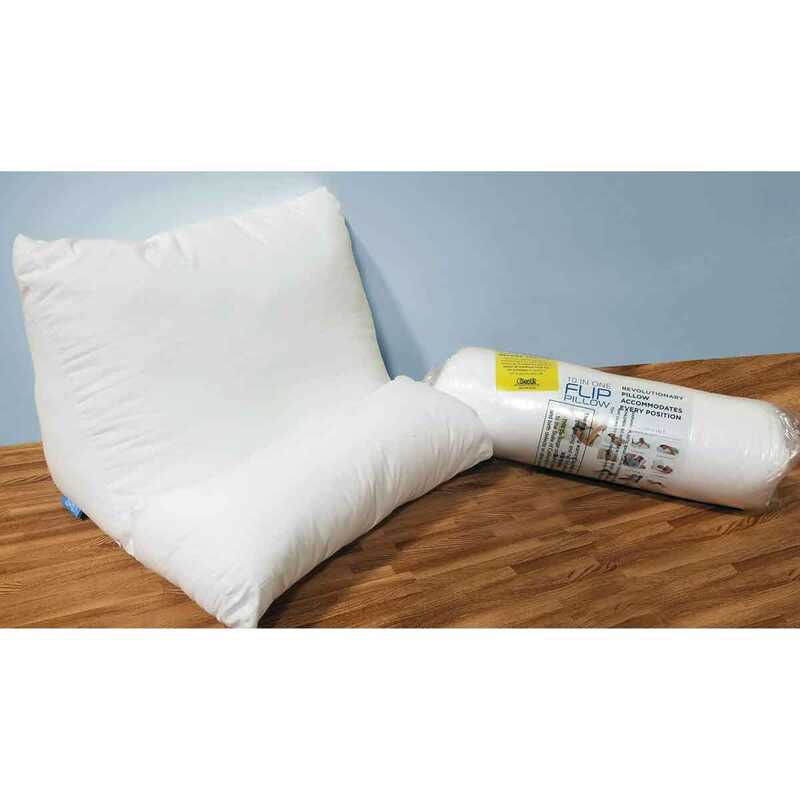 The Flip Pillow™ is lightweight and versatile and made from very soft materials that hold their shape in every position, no need to readjust this Pillow! You can use the Flip Pillow for easy stomach reading or sleeping gently elevated without the bulky wedge. 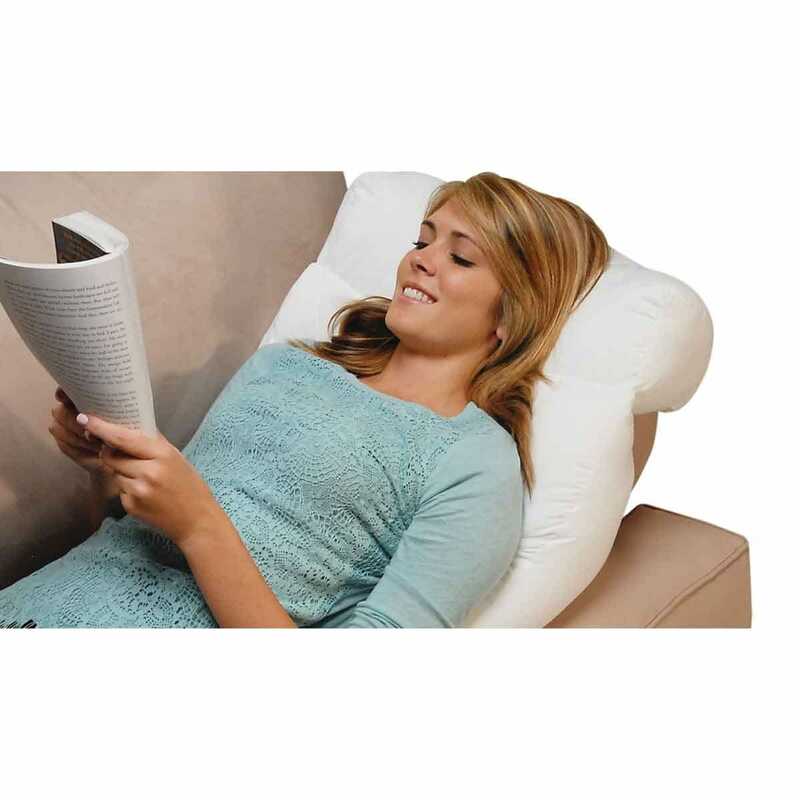 The Flip Pillow can also be used in a office chair or for lounging on the couch, also perfect for nursing or recovering from surgery. 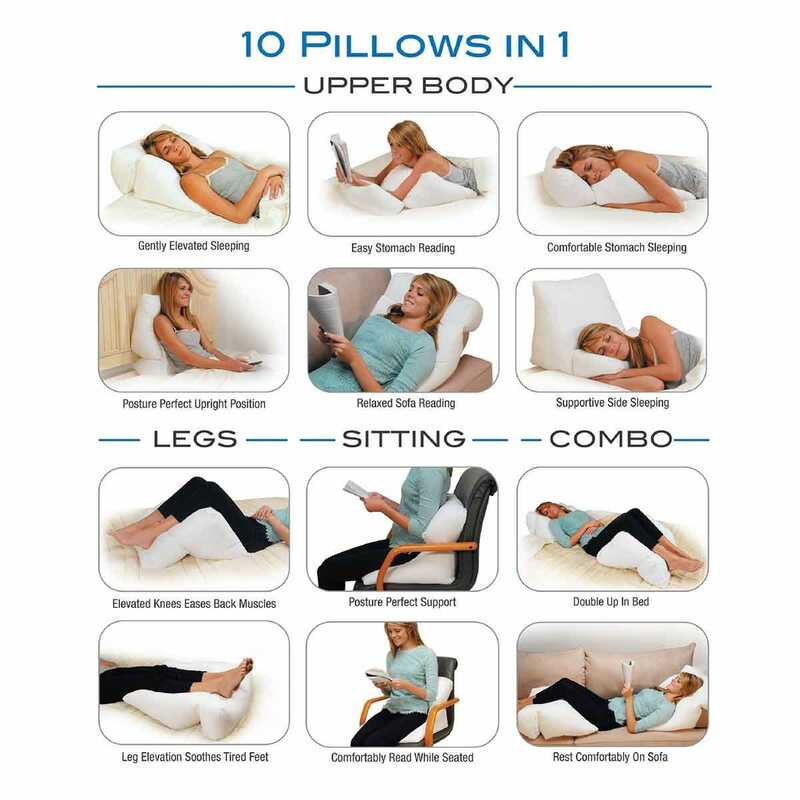 This 10-in-1 Pillow is the most versatile on the Market! Made of 51% Polyester/ 49% cotton. Pillow measures about 20”h x 18”l x 19”w.